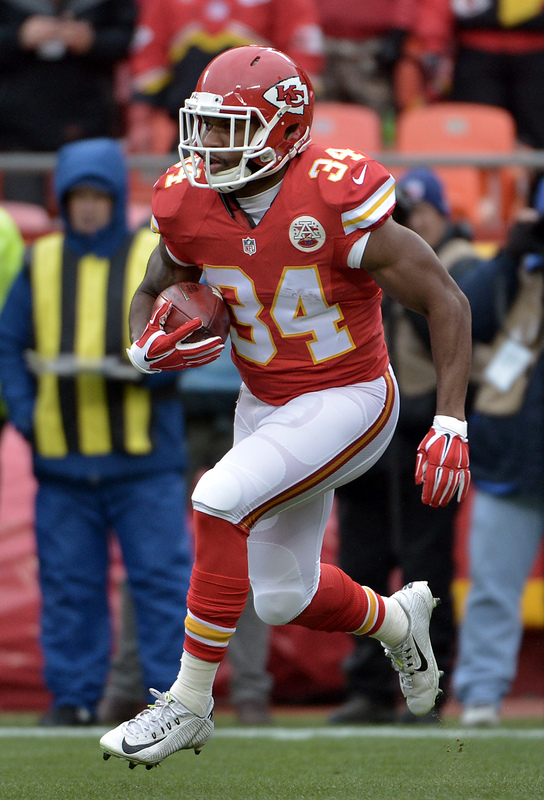 The Bears have signed free agent running back Knile Davis, as Charean Williams of Pro Football Talk reports. In a corresponding move, the team has released offensive lineman Kaleb Johnson, who was signed just last week. In Chicago, Davis will reunite with Matt Nagy, the Bears’ new head coach who served as the Chiefs’ quarterbacks coach during Davis’ first three seasons in Kansas City (the Chiefs selected Davis, an Arkansas product, in the third round of the 2013 draft). The Chiefs elevated Nagy to offensive coordinator in 2016, and they traded Davis to the Packers for a conditional draft pick in October of that year. Green Bay released him just two weeks later, and Davis re-signed with Kansas City shortly thereafter. Davis was reasonably effective during his first two years in the league, rushing for 705 yards and 10 touchdowns as a change-of-pace back. He also ran back a kickoff for a touchdown in 2013 and 2014, and even though his workload as a running back was dramatically reduced in 2015, he still returned 29 kicks. 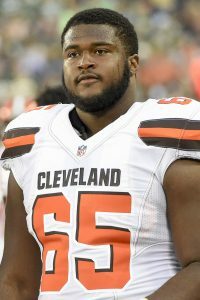 However, he was released by the Steelers before the start of the 2017 campaign, and he was not picked up by any other club (though he did work out for the Jets last September). As Williams notes, if Davis is to crack Chicago’s roster, he will likely have to do so on the strength of his return ability. The Bears boast a fairly crowded backfield, headlined by Jordan Howard and Tarik Cohen, but Davis does appear to have a fan in Nagy. The Bears have swapped one offensive lineman for another. Brad Biggs of the Chicago Tribune reports (via Twitter) that the team has signed guard/center Kaleb Johnson. To make room on the roster, the Bears have waived center Jack Allen. It’s a bit surprising that the Bears have parted ways with Allen, especially since they added the 25-year-old just last week. Despite just a week of practice, the former undrafted free agent out of Michigan State was one of the team’s standouts during their preseason opener. With Cody Whitehair, James Daniels, and Hroniss Grasu sitting out, Allen went on to play 48 snaps for the Bears. Head coach Matt Nagy even lauded Allen’s contributions following the game. ‘‘For him to come in on short notice and for him to come in and play center, it’s hard,’’ Nagy said (via Patrick Finley of the Chicago Sun-Times). Taking Allen’s spot on the team is Johnson, who will ultimately provide Chicago with a bit more versatility. The 25-year-old has yet to play in a regular-season NFL game since going undrafted out of Rutgers in 2015, but he’s managed to catch on with several teams’ practice squads. Johnson has had stints with the Ravens, Browns, Cardinals, and Chiefs.